Because we only add the best quality products to our range – and only then when they offer something different – we are pleased to announce the addition of J+J Electric Actuators to our portfolio. Our friend Dave Chapman, who had been a Marine Engineer before becoming National Valve Sales Manager for a UK supplier of Oil and Gas pipeline equipment, met Jomi and Jordi Chaves in the early 90’s. The brothers were developing a useful “plug in” range of actuators, for situations where traditional pneumatic resources weren’t available; it was this insightful innovation that inspired Dave to form “J+J Automation UK Ltd” with Jomi and Jordi as co-owners. That was 1996 – since then these red boxes have been appearing in over 70 countries, delivered with and without valve’s attached. 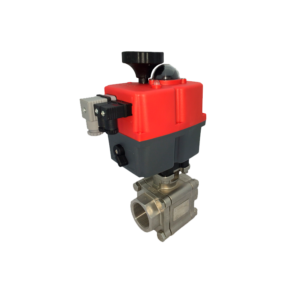 Quality assured and ISO approved – they are now available through Valve & Process Solutions, giving us yet another alternative to offer our customers as part of tailored solutions, backed up by all the technical advice you will ever need.